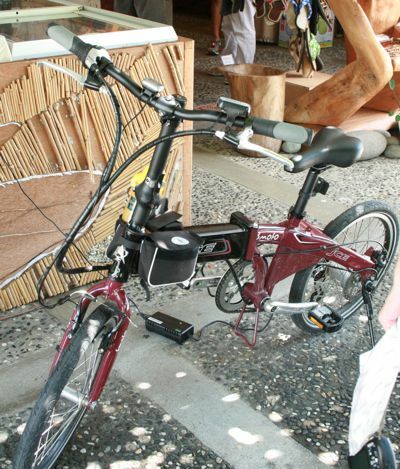 I spotted this electric-assist folding bike on the way to Taitung County. The bike was part of an organized ride along the Pacific coast; the riders had stopped at the same reststop/souvenir shop as our bus. I couldn’t figure out if the bike was made by a company called “JCE” or “ICE”…either seemed plausible. 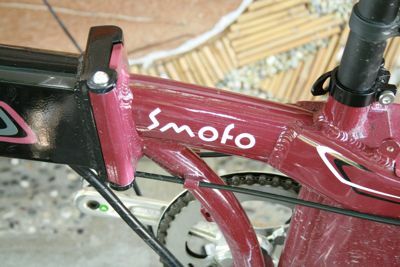 But we liked the “smofo” logo on the top tube. 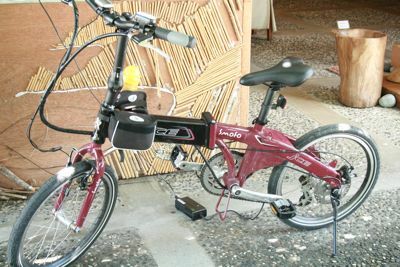 Either way, the bike had a powered rear hub and housed the battery in the forward portion of the folding boom. The rear brake was a mechanical disc while the front used a linear-pull canti. smofo….how does one pronouce that? Like “smo-fo” or “es-mofo”? I mean, the correct way to pronounce the maker of the Red premium road racing components is called “sram”, not “Es-ram”.